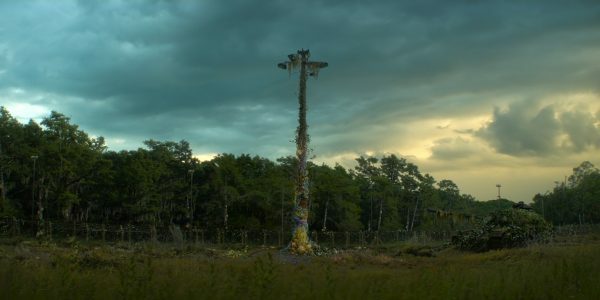 Milk created visual effects for Alex Garland’s new feature ‘Annihilation’. The hotly anticipated sci-fi thriller was released in cinemas in the US, Canada and China in February 2018 and debuts on Netflix in March. 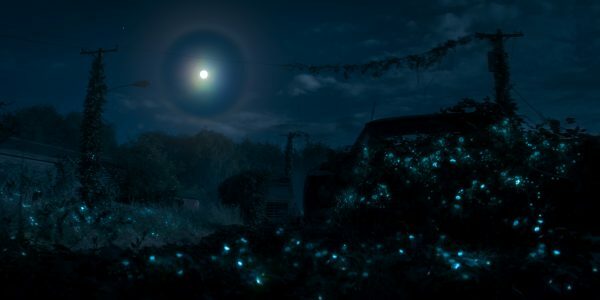 Milk’s VFX Supervisor for Annihilation was Milk co-founder and Oscar-winner Sara Bennett who worked closely with overall VFX Supervisor Andrew Whitehurst. Milk created 28 visual effects shots for Alex Garland’s feature film Annihilation, alongside Double Negative; working closely with VFX Supervisor Andrew Whitehurst. The main focus of our work was to enhance key sequences within the mysterious alternate reality Area X, in 2D. We were briefed to create multiple translucent eels or ‘Elvers’ which are seen in a pool. We modelled, textured and animated them through to the final composite. 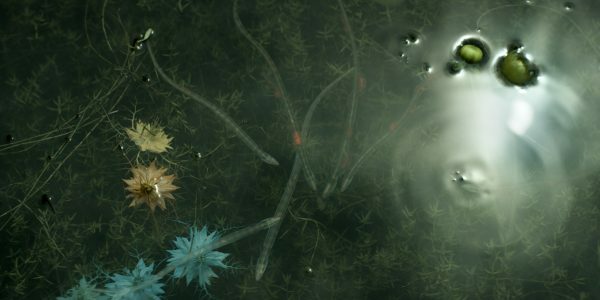 To make them feel part of the alternate reality we added tumour like growths giving them a style in keeping with Area X. For the military operation sequences, we created the look development for the vehicles and lit and rendered the sequences, using vehicle assets provided by Dneg including helicopters and vehicles. We also built armed soldier assets for this sequence. All the background work was created and finished by Double Negative and we added in all the military aspects afterwards. Our Digital Matte Painting (DMP) team worked on a range of shots throughout the film. 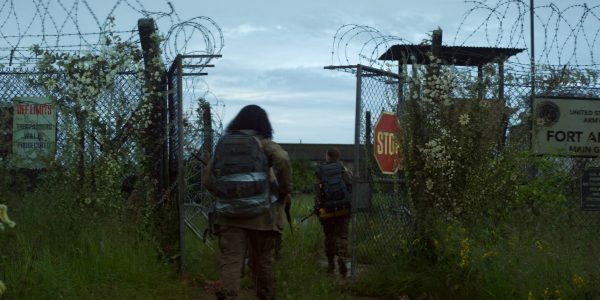 One sequence, which takes place around the military site at Fort Amaya, required us to make the shot feel overgrown, as if abandoned for years. To achieve this look we were given reference pictures of ‘Fukushima’ flowers as a starting point, which would sit in and among foliage and creepers that we had also created. We see these growing on the fences and in the grass and foliage in the plate as the characters go through the gates into Fort Amaya. We brought this abandoned look and feel into another scene in which we added a military tank covered with branches and flowers; there was also a tall pole within the plate, which we were asked to cover with creepers, foliage and disturbing looking mossy ‘tumours’, which recur throughout the film, within Area X. We were briefed to rebuild the entire shot with only the grass and sky remaining from the original plate. This work was created by our DMP artists in Cinema 4d. We were briefed to create glowing flowers in the foreground of the plate. We took our inspiration from the flower references used in other shots but made them phosphorescent with a beautiful and very subtle light ‘glow’ throughout the shot. This was a shared shot with the Dneg team. We assisted with continuity in the final scene involving Natalie Portman. We enhanced the blood down her face throughout the scene to ensure she looked as if she had just been freshly wounded as her original on-set make up had dried out.